DHAKA– The United States and the United Nations on Thursday raised concerns over the looming general election in Bangladesh as the opposition said hundreds more activists had been arrested and attacked. The South Asian nation's Prime Minister Sheikh Hasina used the last full day of campaigning to call for a record fourth term from Sunday's vote. The opposition, whose main leader Khaleda Zia is in jail, said the election would not be free and fair. The US ambassador to Bangladesh Earl Miller said opposition parties have been the target of most of the deadly violence that has tarnished the campaign. He raised US worries in a meeting with election commission chief, K.M. Nurul Huda. "I asked for this meeting because the United States is concerned by the high level of campaign violence over the last two weeks. All parties have been victims of violence, including minorities and female candidates," Miller said in a statement. "However, it appears opposition party candidates have borne the brunt of most violence." Miller said he had questioned the election commission on its security plans for voting day. 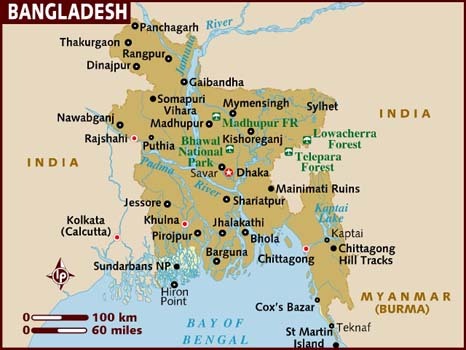 Everyone in Bangladesh must be able to vote "without harassment, intimidation, or violence", added the ambassador, whose country called off an election observer mission that it financed because visas were not given. Bangladesh has denied that it refused permission. UN Secretary General Antonio Guterres also appealed for calm. Guterres "calls on all stakeholders to ensure an environment free of violence, intimidation and coercion before, during and after the elections, so as to enable a peaceful, credible and inclusive poll", said a spokesman for the UN chief. Bangladeshis "must feel safe and confident in exercising their right to vote", he added. Thousands of flag-waving supporters of Hasina's ruling Awami League marched in Dhaka and other cities bringing the traffic-choked streets of the capital to a standstill ahead of the official close of campaigning early Friday. The main opposition Bangladesh Nationalist Party said it had been prevented from holding its closing rally in Dhaka. Thousands of its supporters were allowed to march through the northern city of Sylhet, however. The BNP said eight of its supporters had been killed in election clashes, while police said two from the Awami League had also been killed since the campaign opened on November 8. The opposition party said hundreds more of its supporters were detained Thursday. The BNP and its Islamist ally Jamaat-e-Islami now say more than 12,800 of their followers have been arrested and thousands of activists, including candidates, injured in attacks by ruling party followers. Hasina has shrugged off opposition complaints of authoritarianism and said she needs more time to implement ambitious economic plans. Amid a flurry of late campaign appearances on Wednesday, Hasina said the "BNP-Jamaat alliance carried out bomb attacks in 88 constituencies". "There is no doubt that the people will surely reject them," she said. Hasina focused her final speeches on Bangladesh's impressive economic growth over the past decade. She has promised to increase annual growth to 9.0 percent from the current 7.8 percent, expand electricity coverage and put the country on course to raise average income to more than $5,400 by 2030. Hasina slammed the opposition for failing to recognise her achievements. "They are blind despite having eyes," she said. The Awami League leader won a landslide victory in 2008 and the BNP boycotted the 2014 election -- saying it was not free and fair -- gifting her a return to power. But since her last victory, civil society and rights groups have accused Hasina's government of silencing dissent and muzzling the press. BNP leader Zia, a longstanding arch-rival of the prime minister, was jailed for 17 years this year on graft charges. "The election process has turned into a farce," BNP spokesman Fakhrul Islam Alamgir said, adding that attacks on party activists were "sponsored by the state itself".